4 Vital Tips To Answer The Question "How Can I Sell My Home Fast In Tucson? Without a doubt, first impressions matter immensely. The first thing potential buyers see when they pull up to your home is the yard and the home’s exterior. So if you’ve been wondering, “How can I sell my home fast in Tucson?” improving the curb appeal is one of the best things you can do to speed up the sale. These 4 vital tips, then, are a good starting point if you’ve been asking this common question: “How can I sell my home fast in Tucson?” Still, though, there’s, even more, you can do to expedite the sale. 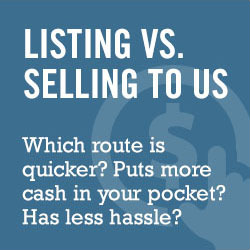 WANT TO LEARN MORE ABOUT SELLING YOUR HOME in Tucson EFFICIENTLY AND QUICKLY? CONTACT US BY PHONE AT (520) 433-9298 OR FILL OUT THE FORM!